Barleylands farm is awash with tiny hooves this month as it welcomes its newest arrivals, two gorgeous Highland cross calves. The playful pair, beautiful black calf Chinook and dazzling dun calf Apache, were both born in the first week of August to proud parents, Highland sisters Annie and Flora and Miniature Dexter bull dad, Shorty. The adorable tiny tots are fabulously fluffy with gorgeously glossy coats. 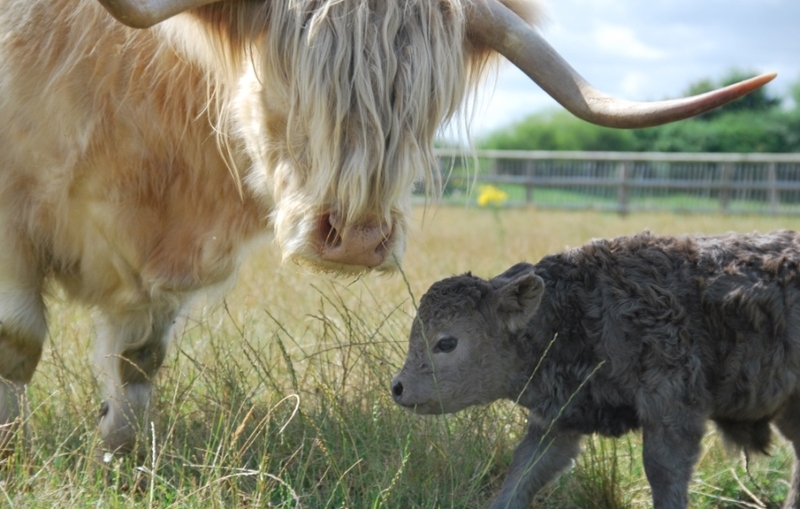 They are the first ever Highland calves to be born at Barleylands and are sure to make your heart melt! 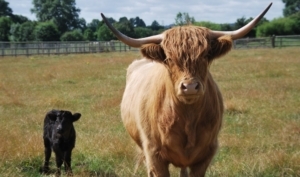 The bouncing bundles of fluff rarely leave each other’s side, and although they will always be small in stature due to their Miniature Dexter bull father, they are very hardy and can thrive in extreme conditions, thanks to their thick curly coat and long luscious fringe, inherited from their Highland cattle mothers. 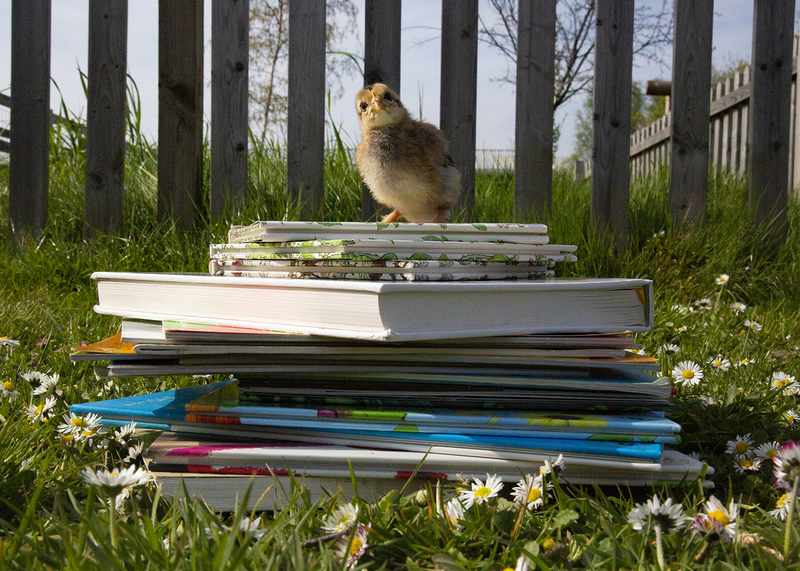 Humongous Highland cattle are not the only special breed at Barleylands. Hang out with Winnie the Iron Age Pig, keep up with the fabulous flock of Gotland Sheep and say hello to the amazing Alpacas! 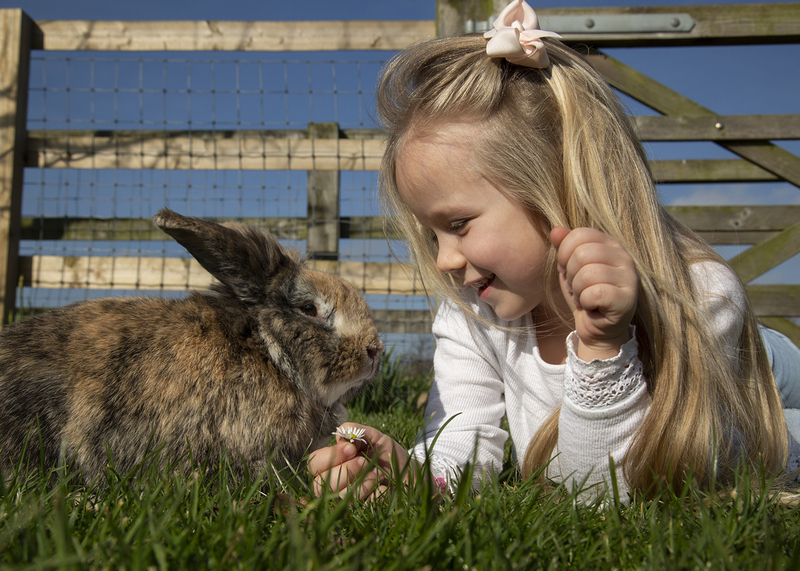 Plus, in the Animal Contact Barn you can say hello to fluffy bunnies and cheeky ferrets as well as get close to, and feed, friendly farm animals whatever the weather! And, as always, the farmyard fun continues with a full timetable of animal and play activities including animal races, tractor and trailer rides, gigantic jumping pillows and stacks of outdoor adventures and indoor play. You can meet Annie, Flora, Apache and Chinook every day at Barleylands throughout the summer and, with a different theme every week throughout the school holidays, there’s so much to do! Click here to find out more!